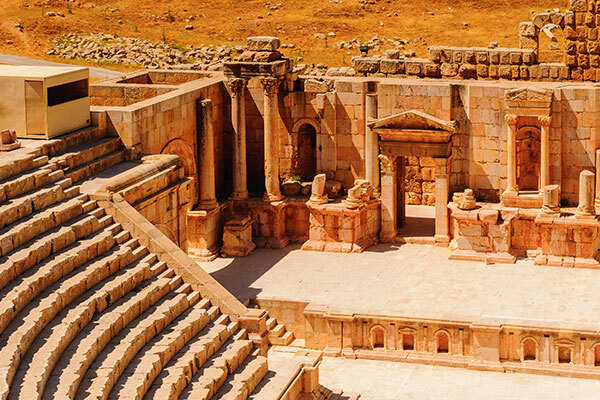 Beginning in Amman, you’ll have time to explore the city highlights and visit nearby Jerash, a vast, impressive Roman city. 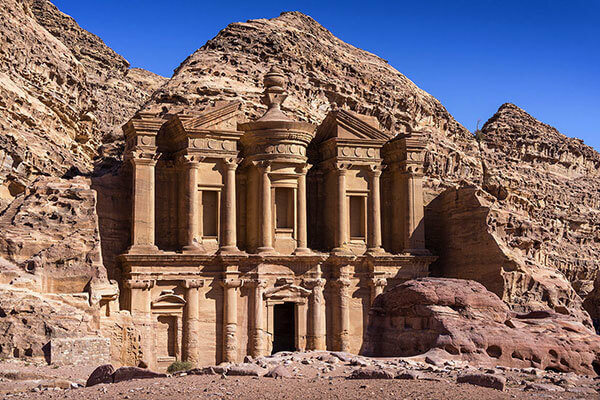 Moving on to Petra, arguably the eighth wonder of the ancient world, you’ll enjoy a guided excursion as well as time to explore the area on your own. 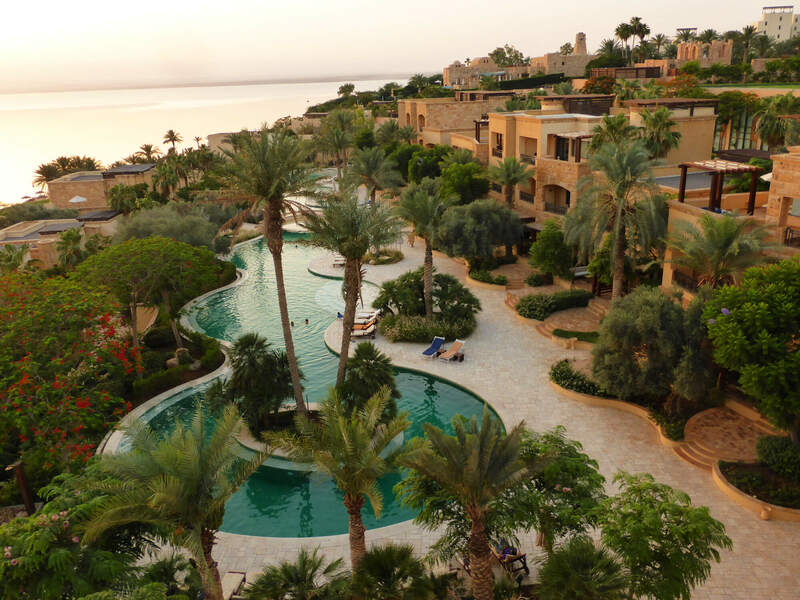 Afterwards, you travel via the stunning moonscapes of Wadi Rum to the Dead Sea, where you can swim and relax at some of the best hotels in the region.  You are met at Queen Alia International Airport and transferred to Amman for your first two nights. After breakfast, you are collected for your visit to Jerash; one of the best- preserved Graeco-Roman cities in the Middle East. 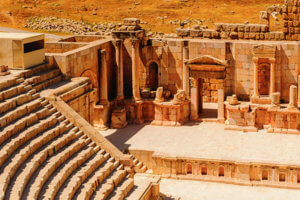 Afterwards enjoy a city tour of Amman where you visit the ruins of the Amman amphitheatre, the Citadel of Philadelphia (ancient Amman) and the Archaeological Museum. After breakfast, you leave Amman for the Monastery in Mount Nebo where Moses viewed the Promised Land. 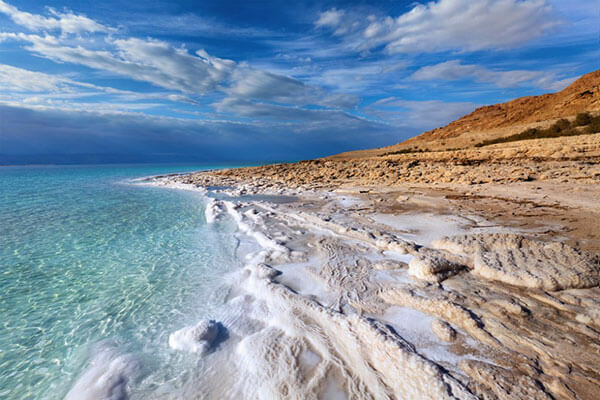 Your trip then takes you to the Christian Town of Madaba, ‘The City of Mosaics’ with its famous 6th Century map of the Holy Land, from where you continue to the fortified town of Kerak to admire its Crusader castle, one of the largest in the Middle East. 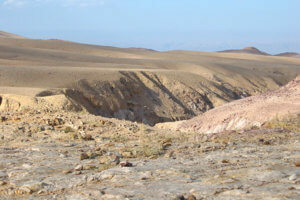 Your journey continues to Petra where you stay for the next two nights. That evening you can take an optional candlelit walk along the narrow Siq to to experience your first sight of the spectacular Treasury where you are served tea and listen to Bedouin tales and music (additional cost, operates Mondays, Wednesdays and Thursdays). Today you visit the stunning ancient Nabataean Capital of Petra. After breakfast at the hotel, your day of discovery begins with a horseback ride, followed by a walk through the narrow Siq. As you proceed on your tour, the mysteries of the Rose-Red City with its spectacular Royal Tombs, Burial Chambers and high places of sacrifice gradually unfold. After breakfast, you leave the ancient city behind and stop to admire Little Petra, before you travel to the haunting moonscape terrain of Wadi Rum, described by T. E. Lawrence as “vast, echoing and God-like.” Your two-hour Jeep tour in the desert takes you across the sands past sculptured rock formations and towering bright-red sand dunes and the many rock inscriptions from prehistoric, Thamudic, Nabatean and Islamic eras. You then proceed on to the Dead Sea for the next three nights. Day at leisure. Take the opportunity to experience “swimming” in the buoyant waters or simply relax by the pool. 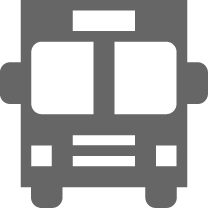 After breakfast, you are collected for your transfer to Amman Airport.